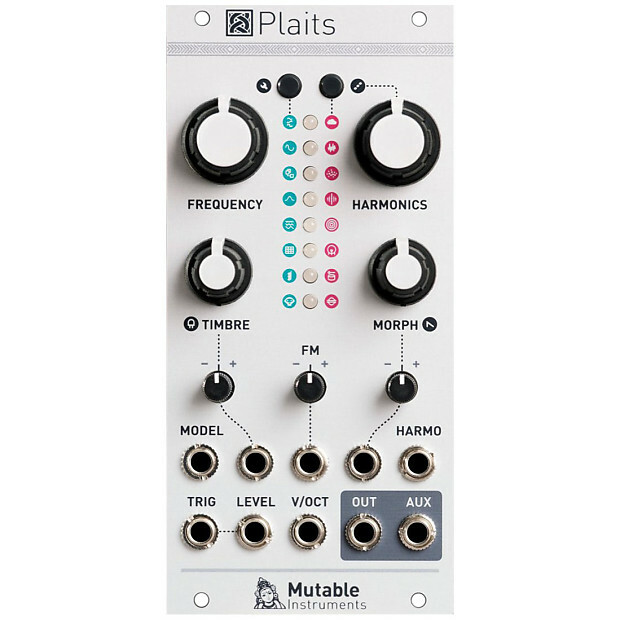 The Mutable Instruments Plaits is the spiritual successor of Mutable Instruments’ best-selling voltage-controlled sound source, Braids. Not just a mkII version: its hardware and software have been redesigned from scratch. Dedicated CV input for synthesis model selection, no need to activate a mysterious META mode! All inputs: 100k impedance, DC to 2 kHz.